It’s hard to imagine the Desert Botanical Garden being more beautiful than it naturally is, but somehow the installation of glass art designed by Dale Chihuly manages to do just that. The organic shapes of Mr. Chihuly’s glass designs juxtaposed with the desert plants is truly inspired. I experienced the glass at night when the pieces were lit, adding a glow to them. They seemed to naturally grow from the desert floor as if they have always been a part of the landscape. 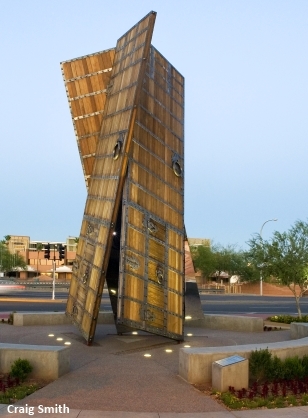 Right in the heart of Downtown Scottsdale stands the beautiful Soleri Bridge. Paolo Soleri designed over 100 bridges in his lifetime and this is the only one that has been built! 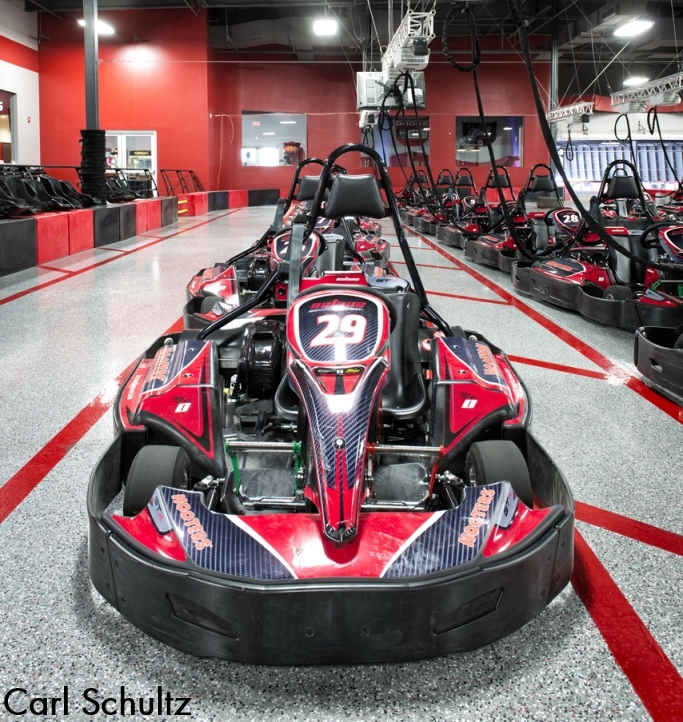 If you like a thrill, head to Octane Raceway at The Pavilions in Scottsdale! The 65,000-square-foot facility has a long track that weaves indoors and out. You can drive up to 45 miles an hour! There’s also an arcade, rock wall, Segway course, and billiards. Enjoy racetrack fare and beer at the Trackside Bar and Grill.